Happiness – a frame of mind everyone wants and, yet, few do the things that it takes to make them happy. Why do most people end up doing the “easy things” rather than the “right things”, which can actually make them happy? 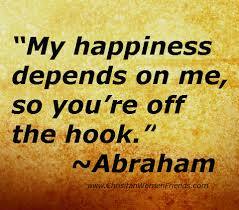 Folks are usually about as happy as they make their minds up to be.” – Abraham Lincoln. 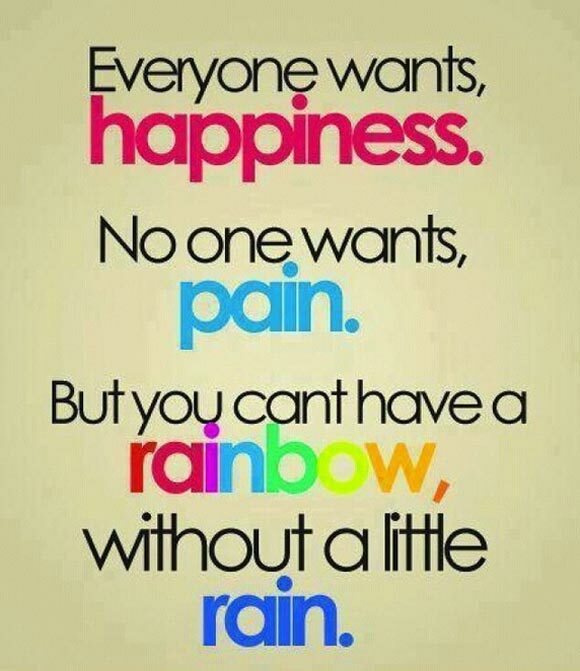 This is true! To me that happiness is valuing what you have, and enjoying the people, places, objects and events in your life for what they are. It’s not about making massive breakthroughs every minute… sometimes it’s simply about being, appreciating, and making small tweaks. And you can almost always enjoy the things you have and make the best of the events happening around you if you decide firmly that you will! 1. Be humane – embrace your humaneness. What people miss is being human and humane – to feel, to give, to take, to laugh, to dance, to get lost, to be found, to love & to lust… to be so unapologetically and beautifully human in every imaginable way. 2. Realize your greatness – you are not a failure because you’re not perfect, got rejected or laid off, struggle to make ends meet, or have a family with issues. You are great because, despite your circumstances, you keep loving, you keep getting back up after every fall, and, above all, the little steps you keep taking, you take with grace. 3. Exercise your power – this life is mine and I have the power choose to what I want to do and do it well. I have the power to love what I want in life and love it genuinely. Therefore the power to be happy lies in me. 4. Accept yourself just the way you are – Too many days are wasted comparing ourselves to others and wishing to be something we aren’t. Everybody has their own strengths & weaknesses and it is only when you accept everything you are, and aren’t, that you will truly find happiness and success. 5. No external validation – I don’t have control over what others think of me, but I do have control over how I internalise their opinions of me. What I work on constantly is to allow others to love me for who I am, and not for who they want me to be. 6. Choose your own thoughts – The greatest weapon against stress is our ability to choose one thought over another. And often times this means choosing your own thoughts over the opinions of others. 7. Stop resisting what is – Flow with reality, not against it. And don’t be trying 24/7 to fix everything. Some things don’t need fixing… they just need acceptance. What you resist persists. When you fight something, you only make it stronger. 8. Appreciate each day for what it’s worth – If what you did today didn’t turn out as you hoped, tomorrow is a new opportunity to do it differently, or to do nothing at all. What’s important is to realize that you have a choice. So no matter how tough the day was, always try to end it with a positive thought, knowing that a new beginning starts in the morning. 9. Be grateful – Gratitude is simply the awareness of what’s right. Count the blessings in your life, and start with the breath you’re taking right now. 10. Forgive – Sometimes we don’t forgive people because they deserve it. We forgive them because they need it, because we need it, and because we cannot let go and move forward without it. 11. Leave the past & negativity alone – it is rightly said that “today is the tomorrow you worried about yesterday”. The past and the negativities of our life have no place in our present. They create toxicity and we definitely do not need it. 12. Keep your faith – Very often with adversity, we lose faith in ourselves and in our abilities. We lose faith in people around us and in the universal process. Seriously, it is important to take pride in how far we have come in life and have faith in how far we can actually go. Treat each day with renewed freshness and faith…life becomes a beautiful journey. 13. Celebrate the small wins in life – The bigger things in life take so much space in our thoughts that we forget to appreciate the smaller things in life. We also forget that life is a series of daily small things and not just a few big things. It’s the daily small things that need to be celebrated more regularly. Who can stop my life being a party then? 14. Enjoy learning & growing – Acknowledge your troubles but gather strength from them, and laugh at your mistakes but learn from them. Getting second chances in life is about giving yourself the opportunity to grow beyond your past failures. It’s about learning as you go and positively adjusting your attitude and efforts toward future possibilities. 15. Everyday meaningful actions – What I do everyday matters…more importantly, WHY I do them matters most. While I work on things that I really love to work on, I also look at making my time more meaningful to me. It’s a measure of my happiness quotient. 16. Express yourself – Life can become regretful if we fail to express our feelings and emotions at the right moment. There is no greater sadness than holding on to the words you never had the courage to speak. 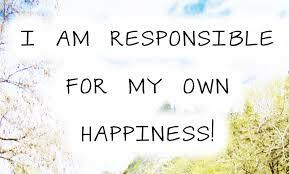 I am sure all you beautiful people out there have your own recipe for creating happiness in your lives. The floor is yours to share those recipes…who knows, you may be making some other soul happy today!!! 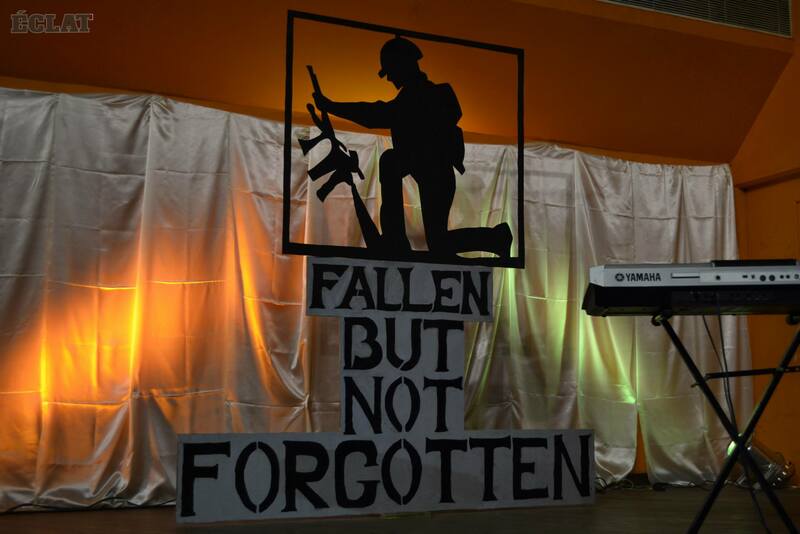 Fallen But Not Forgotten…A Tribute To Our Unsung Heroes! Did I save my people, had I tried? I was a soldier, I was your son. The dead soldiers do not speak…yet they are heard in the still houses of people who care for them. They are shrouded in a silence that speaks for them, a silence that mocks us…the living. This silence talks to me…what does it tell me? It says they have done what they could but until it is finished it is not done. The silence says they have given their lives but until it is finished no one can know what their lives gave. The same silence throws at me the truth that their deaths are not theirs, they are ours and they will mean what we make them. Whether their lives and their deaths were for peace and a new hope or for nothing they cannot say. It is you and I who must say this. Finally, the silence says they were young, they died young, so remember them. A seed was sown in 2009/2010 with the students taking the ownership of making this a success. 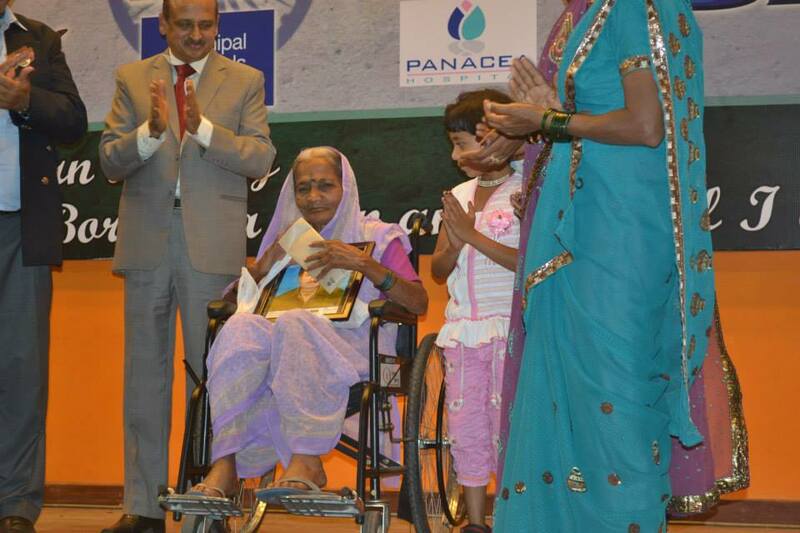 In the last four years more than 60 families have been identified and felicitated for the sacrifice they have made. The project works on facilitating basic documentation processes, helping them get connected to medical facilities, children’s scholarship, employment or self employment opportunities for the widows or parents of these unsung heroes. This year I had a chance to interact with 16 families who had made the supreme sacrifice. It was an emotional two days where I got to hear from various family members the heroism of their fallen soldiers. I also saw the ugly side of what happens to the families thereafter, especially if they are in remote rural places. Samarpana works to ease the pain of neglect. 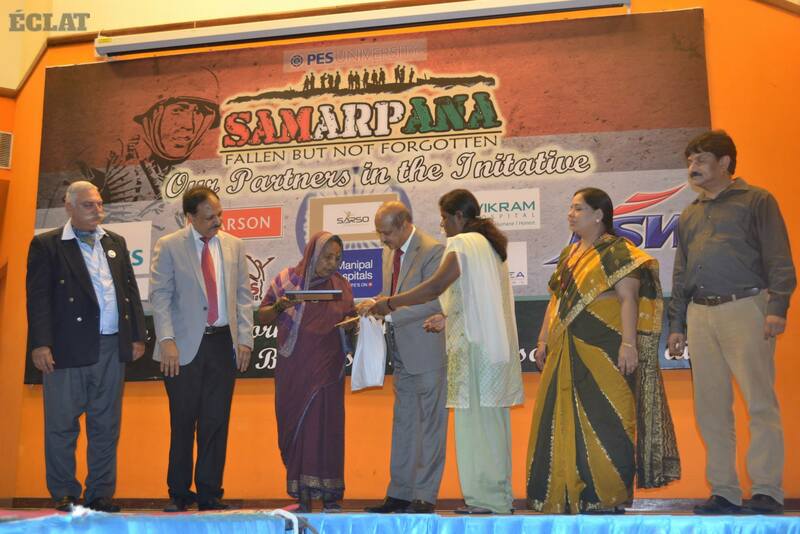 A one of it’s kind project, Samarpana is poised to grow and touch more & more lives across India. It’s a shining example of how selflessly the human heart can give if we as individuals decide to. 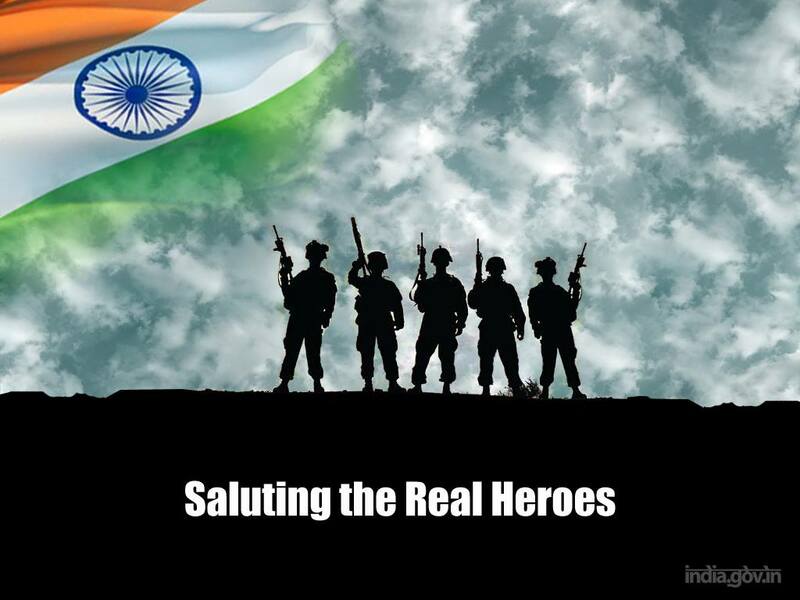 I had the privilege of meeting an old lady whose husband had died serving the Indian Army in World War II. She had been married less than a year whenshe lost her husband. It was also very emotional to interact withanother lady who lost her husband in Kargil, the highest battleground in the world.She also was married for just two years when tragedy struck their family. What was heartening to see was that these people were given the basic support from their families & government. What they need today is also social acceptance at multiple levels, to become part of a community that recognizes their agony, can empthasize with them. My dream & heartfelt prayer is to see such initiatives in other colleges and institutions across our country. ceases to amaze me about how these impressions have carried on for years. associated with the armed forces. They risked their entire lives. “Baby when I met you there was peace unknown…” crooned Kenny Rogers with Dolly Parton. The song brought home a discussion some of us were having with regard to sustaining, long lasting relationships and how they have endured the test of time. There are many kinds of relationships and as many kinds of love nudging those relationships in the right direction. Our discussion that day was more on the nurturing of romance and what’s important in relationships. 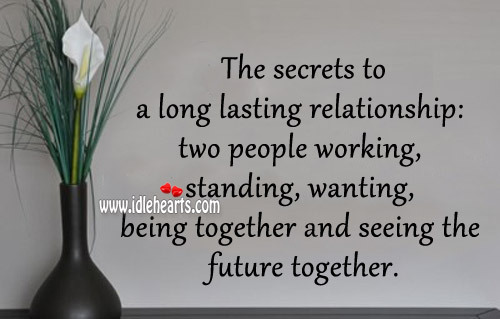 As the picture says, the secret to a long lasting relationship is all of the above…true. But, why would two people want to do it? Simply because of a crazy little thing called love! One of my favourite quotes (and I have a lot of them depending on what I feel at that moment) is “Grow old with me…the best is yet to be”. I want to grow old with the man I fell in love with years ago. 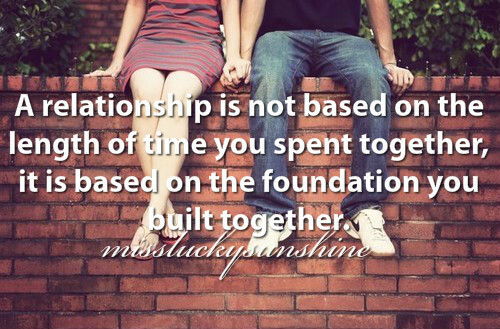 For that to happen, we have to sustain our relationship on a continuous basis. All relationships need that sustenance…only then will they flourish, grow & mature like wine. Loving relationships take effort…consistently and continuously. Its like growing a beautiful garden filled with greens, foliage, flowers, lovely soft springy grass and enjoying the fruits eventually on a regular basis. We also have to be careful about the weeds & pests that crop up occasionally. I don’t worry about them any more, because I know it’s a natural process. What’s going to make a difference is how we, as a couple, deal with it. Here’s what has worked for us! Putting our relationship first: We make each other a priority. We communicate with each other. In this age of technology, we use it to the maximum and check on each other during the day. We make it a point to have date nights where it’s only us! If date nights can turn into date weekends then it’s even better. Undivided attention is what we give each other when we communicate. Manage arguments: It’s absolutely ok to have arguments…it’s natural. We are only human, we are bound to have differences. It’s how we deal with those differences that will decide how strongly we sustain our relationship. We have our differences…but we strive to understand those & we make allowances for each other. I’m ok watching sports on Saturday or Sunday nights with him and he reciprocates by watching chick flicks with me when I’m in the mood! Have a strong foundation: Our interests, opinions and experiences can change as we grow. But if you share the same core belief systems, you will have a platform from which to build a strong relationship. For us, as a couple, our belief system is the same. It has remained the same the last 25 years. This forms the foundation of the love and affection we have for each other. Have fun in the relationship: Whether it is listening to Andre Rieu, going for a drive, shopping, scuba diving, dancing or even enjoying a glass of wine or single malt, we have fun. I can honestly say that I have the maximum fun when we are together. The truth is we genuinely enjoy each other’s company…we can talk about pretty much anything under the sun and laugh. We can laugh with each other and at each other…a healthy mix I would say. Statistics say that couples who laugh together stay together. Dream together. Knowing what you both want out of life and working together to make those dreams a reality will strengthen the bond in your relationship, I have a vision board that includes a lot of our dreams. What makes this sharing exciting is it gives us glimpses of each other’s deeper ambitions. Visualising those dreams together and weaving our life’s story around them strengthen our feelings for each other. These dreams change over a period of time…earlier we dreamt about what we wanted out of life, today, we talk & visualize about our kids. Yes, their dreams are also an integral part of our dreams now. Daily nice acts: It’s true the daily mundane things take over in every couple’s life. The only way to overcome this is when we perform daily nice acts for each other. One of the things that we have ensured is when we are in different cities, early morning and late night texts are always exchanged. Saying “I love you” to each other is equally important. 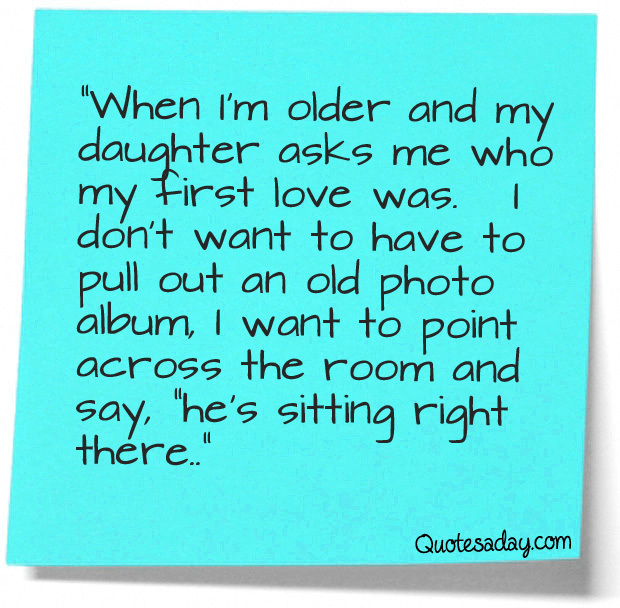 Very often as we grow older in the relationship, we tend to not express this love, verbally and non verbally. A hug, a kiss, holding hands, cuddling all are critical to pull out the weeds and pests in the garden of love. Sharing feelings and not thoughts: Most times couples don’t even get the meaning of this. Focus on what feelings you go through when both are having an argument, when your partner does something to please you or surprise you. Express your feelings then…it establishes a connect that can help build a stronger relationship. Let me share a secret with all you women out there…men do have a tough time getting this point across. We just need to help them a bit :). They may shy away initially,but, in my experience I have found that they do share eventually. Patience is the key here! Embrace your partner’s individuality: The idiosyncrasies we once fell in love with can frustrate us today. Always remember…that is what attracted you to your man/woman in the first place. It’s important for our partner to be themselves. Here the three A’s become the pillars here – allow those idiosyncrasies, accept that your partner has them and adjust yourself accordingly. An early morning ritual of slippers, newspaper, a cup of finely brewed Orange Pekoe & reading glasses is what has become an endearing habit in my life. My reward for accepting this is I get to snuggle on the sofa and solve crosswords with my man. Ask questions when you’re unsure or are making assumptions: All too often, we make up our own stories or interpretations about what our partners’ behaviour means. For example: “She doesn’t want to cuddle; she must not really love me anymore.” We can never err on the side of asking too many questions, and then listen to the answers from your whole self — heart, gut, mind and body. Equally important is to hear what’s not being said — the facts and feeling that you sense might be unspoken. Creating a WE instead of two I’s: When practising all the above, we have been able to create space for “We” instead of two individual “I’s”. Two individuals can retain their personalities yet remain soul connected. In co-dependent relationships, each person sacrifices part of him or her self, compromising the relationship as a whole. When you are separate and connected, each individual “I” contributes to the creation of a “we” that is stronger than the sum of its parts. I have always been fascinated by world records. There is a certain passion, drive and single minded focus that creates these records. Here are a few that have interested me…and am sure will do the same for all you fascinating people out there!!! Sharjah Stadium Sets Record for Cricket Matches. The Guinness Book of Records acknowledged the achievement of Sharjah cricket stadium for hosting the most number of one-day matches. 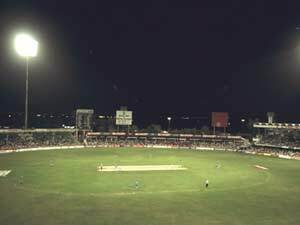 Sharjah stadium, built in the early 1980s, was the hub of one-day cricket between 1984 to 2003 and had hosted 200 one-day internationals — a world record for a limited over matches venue. 100 Year Old Sets Marathon Record. A 100-year-old runner became the oldest person to complete a full-distance marathon when he finished the race in Toronto. 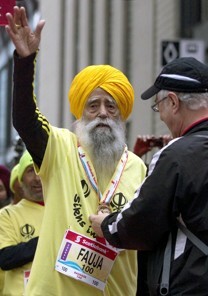 Indian-born Fauja Singh earned a spot in the World Record Book for his accomplishment. It took Singh more than eight hours to cross the finish line – more than six hours after Kenya’s Kenneth Mungara won the event for the fourth straight year – and he was the last competitor to complete the course. Most Number of Students Playing The Violin. 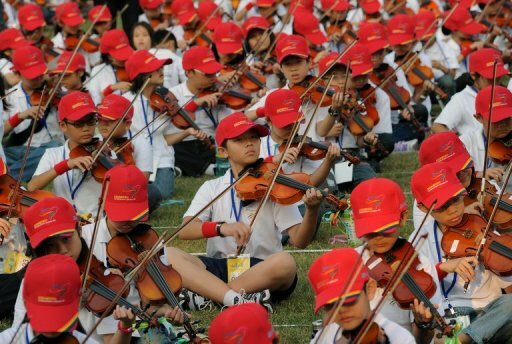 More than 4,600 Taiwanese school children came together for a marathon violin playing session on Sunday, breaking a world record that had stood for 86 years. An official from organization said that, 4,645 children aged under 18 at a stadium in central Changhua county, The performance was 30 seconds longer than the required minimum of five minutes, it said. Largest Chocolate Bar World Record. World’s Finest Chocolate today added another superlative to its description – largest. 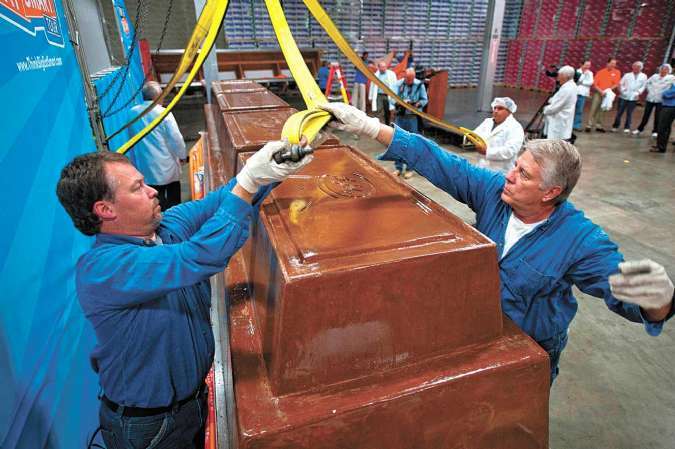 The company broke the Guinness World Record for largest chocolate bar, weighing in at more than 12,000 pounds and measuring almost 3 feet high and 21 feet long. An official of Guinness World Records verified the record after the bar was hoisted on a warehouse beam and weighed on a scale provided by Abacus Scales. The previous record was held by an Armenian company for a bar that weighed 9,722 pounds. Around 15,000 children were shown flowing their kites over the Gaza Strip in a bid to set a new world record for the most kites flown simultaneously. The seemingly simple act raised cheers amongst Palestinians, who have suffered the bitterness of poverty and conflict for decades. 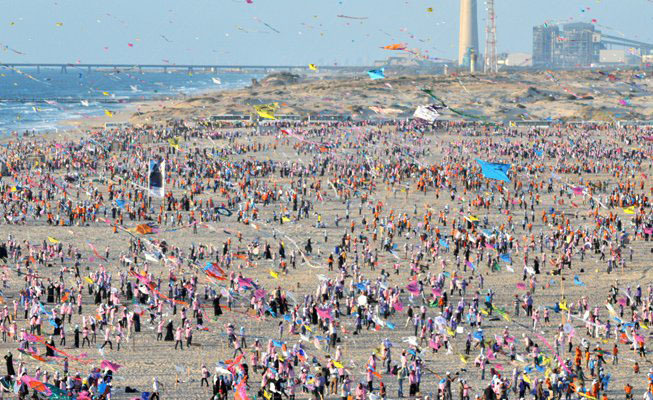 Kites were flown at the golden beach under the supervision of a United Nations humanitarian agency.The previous record,10,465, was set in April in Weifang City, China, according to the Guinness World Records. World’s Oldest Female Body Builder In The US. A 74 year old woman living in the United States was recognized as the oldest female body builder by the Guinness Book of World Records, the Daily Mail reported on Sunday. Ernestine Shepherd has ‘six-pack’ abs which look unbelievable at her age and tries to motivate other people to lead healthy lives as she teaches at a Baltimore fitness centre. Joyalukkas – World’s Largest Jewellery Showroom. The Joyalukkas Jewellery showroom in Chennai is the largest in the world, according to the World Records. It is spread out in five floors with four floors dedicated for jewellery shoppers while the fifth floor is reserved for administration, marketing and jewellery sorting team of Joyalukkas. The jewellery showroom features gold, diamond, platinum, precious stone, pearl, Silver and exclusive corner for kids jewellery. Most People Singing the National Anthem in Pakistan. 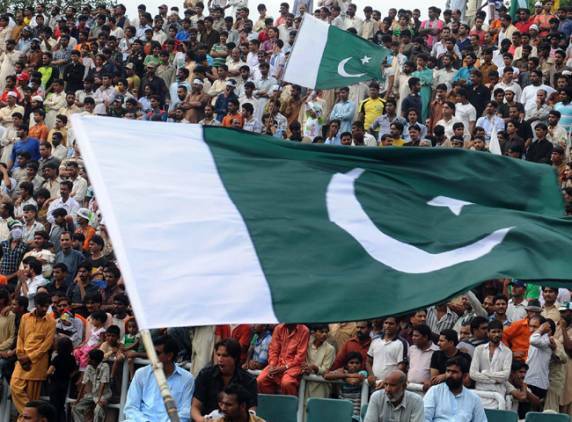 Pakistan achieved the world record for most people singing a national anthem simultaneously when 5,857 Pakistanis chanted the national anthem here at the Defence Stadium in connection with the Independence Day celebrations. The most noteworthy part of the achievement was that the event was arranged by two jingoistic youngsters, Abid Beli and Waqas Pai with a vigorous campaign on social and digital media without any sponsorship or support from the public or private sector. People along with their families and friends started gathering at the designated venue at about 10pm. Rangers, police and scout personnel surrounded the stadium, while volunteers organised the traffic and guided people.